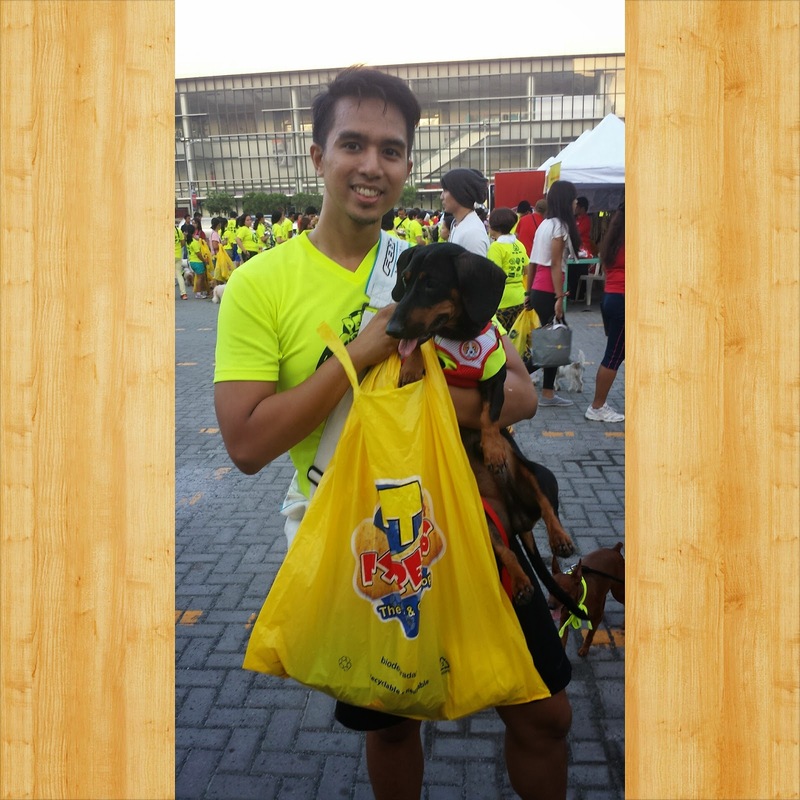 Last March 14, Prok finished his first official run event with the Doggie Run 2015 at SM Mall of Asia, brought to us by Pet Express. The event included 5km, 3km and 1.5km distances. Prok offically became a doggie runner at the 1.5km category. Prok is a mini-dachshund and being part of the hound breed, running is natural to him. Most of our morning consists of him running crazily. Every Sunday morning, we would travel to Makati Avenue so we could run at Ayala Triangle. Since some dog owners bring their pets for a walk, Prok gets to meet and play with other dogs as a bonus. We'll head home tired and he'll sleep afterwards, making a slightly peaceful end of the weekend afternoon. One day, Evan (formerly known as Ivan) tagged me in an event poster and I registered as soon as I had the funds for the registration fee. 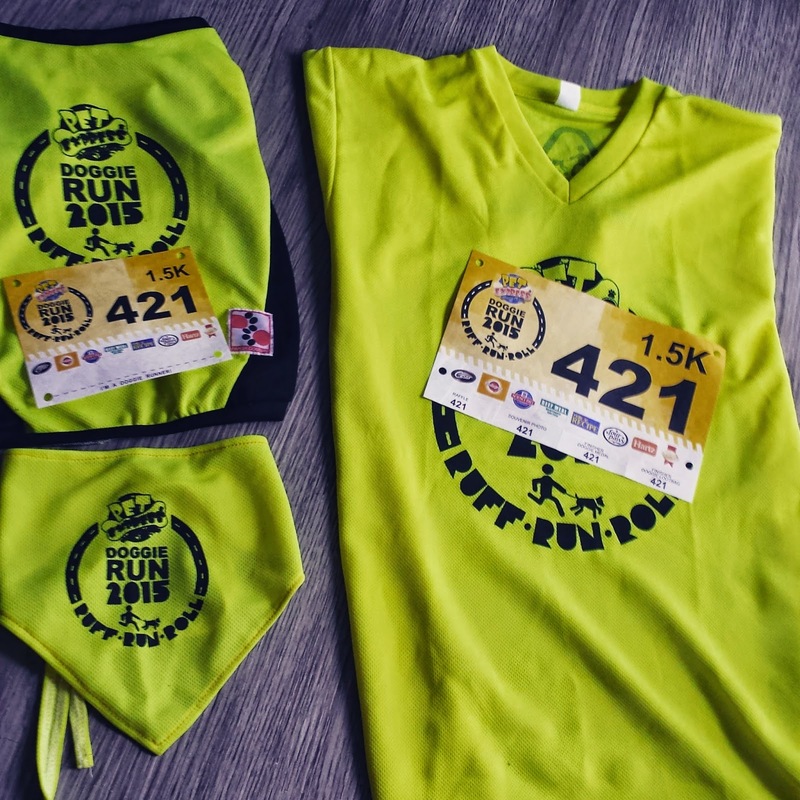 I was super excited to register 'coz there were doggie shirts on display at Pet Express but as it turned out, they were for sale and only bandanas were part of the race kit. We woke up extra early and boarded a taxi heading to SM Mall of Asia. We arrived just in time but I was shocked to find out that they were just calling out the start of 5km runners so the gun start was delayed by an hour. It was a fun run and we were late so I didn't mind. We, then, took the opportunity to take photos at the venue. A few minutes later, the host started calling for 1.5km runner and we went to the starting line. Prok was more concerned with searching for a nice girl instead of running. But he was ready to run when I started speeding up. We ran for half of the distance until he had to mark his territory and pee on the half way marker. We, then, ran to the finish line and dodging dog poop on the race course until the finish line while trying to catch up with the group of dachshunds. At the finish line, we got his first finisher's medal and Prok was an official doggie runner. Prok's finisher's loot bag was super cool most 'coz it was bigger than him. They offered free dog food, dog shampoo and tons of other stuff. We lined up for a photo with Saint Roche before heading home. We passed on the souvenir photo as the line was super long. I like the relaxed feel in the race venue. It was all about the dogs and their furparents getting as much mementos of the event. I wish these kind of events would be held more than once a year.